New to powerboating? 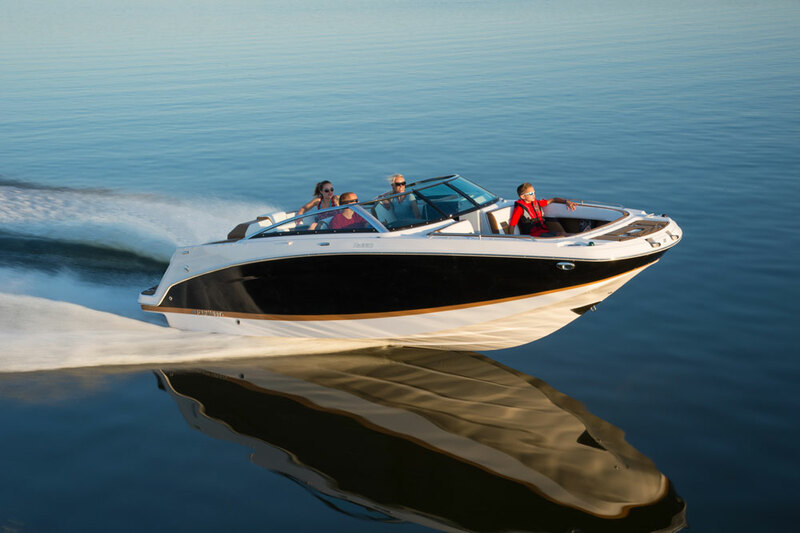 Check out these five top starter boats from the 2016 model year. 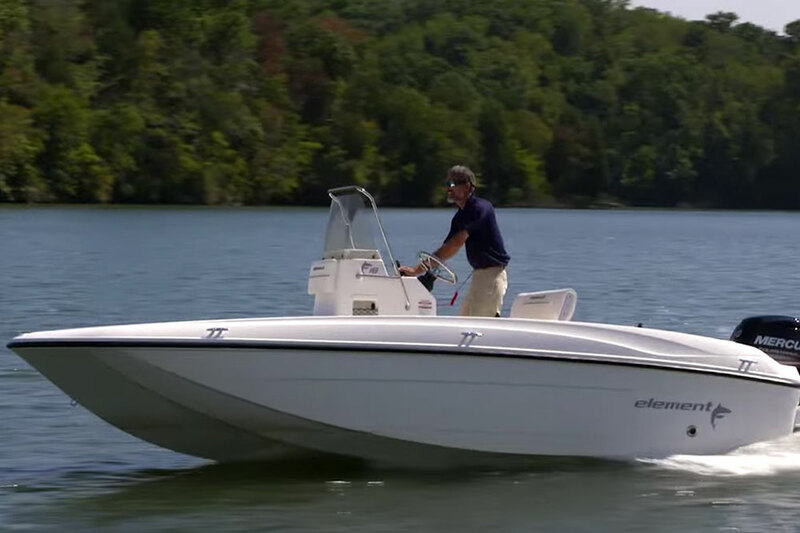 If you’re new to boating, choosing your first ride is a tough decision—should you look at center console boats, bow riders, or pontoon boats? Or, are speedy jet boats more your style? Perhaps a yacht-like power cruiser is to your liking. You’ll have to identify the genre on your own, but once you narrow the focus a bit, we can help you find a good first choice. The requirements? It should be relatively inexpensive so you don’t bang up an uber-expensive boat while you're still learning the ropes; it should be relatively simple to operate; and it should be versatile enough for you to enjoy a wide range of activities until you discover what you like most about boating. Here’s what we liked and what we wished for in five top starter boats, which are ideal for the boating beginner. WE LIKE the fact that while Four Winns keeps cost down in this entry level model, it maintains the construction quality level of their other model lines. This is a simpler, dressed-down version of their Horizon H190, but it still has a high level of fit and finish including fully finished stowage compartments, gas-assist struts on large hatches, and snap-in carpeting. It also comes with a custom-made trailer. WE WISH the bow cockpit was a bit larger. While recognizing that this is only a 19' boat, it still feels a bit cramped up forward. 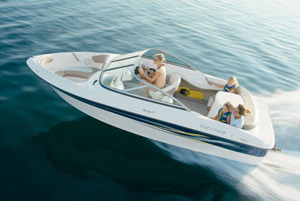 For more information visit Four Winns, or read Four Winns F190: Entry Level Runabout. See Four Winns F190 listings. Grab your fishing rods, and jump on the Element F18. WE LIKE how Bayliner added a slew of fishing features to the Element XL to create a fishing version of the boat. And we especially like how Bayliner eliminated all wood in the Element F18's construction, and gave it a self-bailing cockpit. Fuel efficiency is impressive at just over six MPG, and with a 35 MPH top-end (powered by a Mercury 90 HP four-stroke outboard) the rig has plenty of pep. WE WISH the boat had more trim sensitivity. While the M-hull design has some desirable attributes, like excellent stability, it doesn't react much at all when you trim the drive. 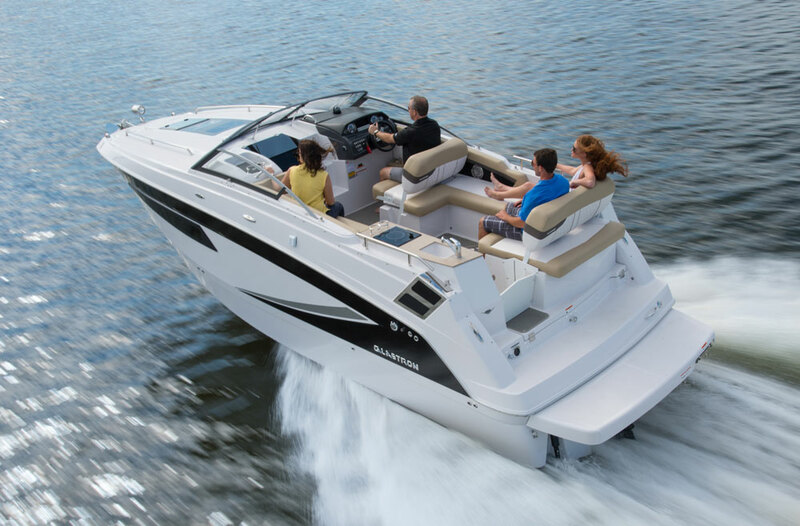 For more information visit Bayliner, or watch our Bayliner Element F18 Video Boat Review. See Bayliner Element F18 listings. 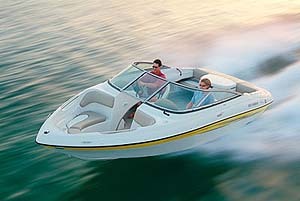 The Yamaha SX210 is an excellent first choice, when it comes to jet boats. WE LIKE the all-new Yamaha TR-1 engine, which is 40-percent smaller and 20-percent lighter than the MR-1 it replaces. We're also impressed by the reduction in sound levels in this boat as compared to earlier models, which is a result of the TR-1's reduced RPM, a redesigned pump inlet, and increased engine box insulation. 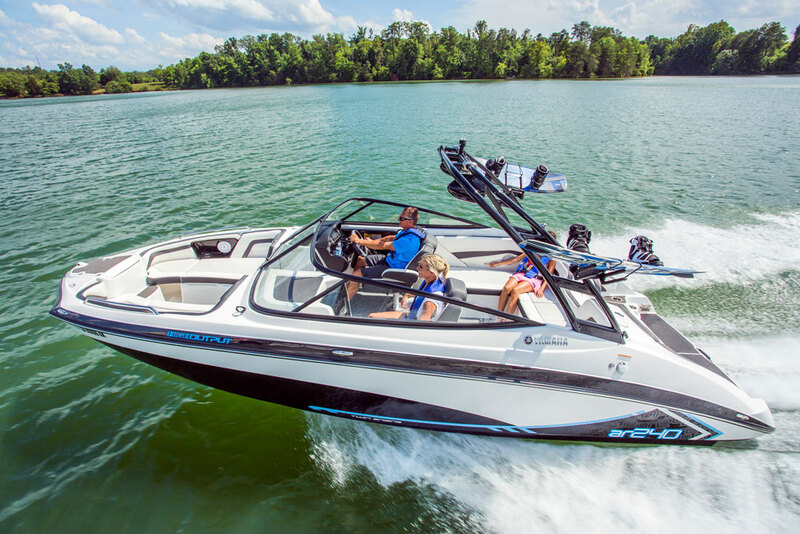 Even though the SX210 is a relatively basic version of Yamaha's 21-foot runabout line it still has the Yamaha Connext touch-screen display at the helm, and its price tag includes goodies like a tandem-axle trailer with disk brakes, a Bimini top, and snap-in carpet. WE WISH it was even quieter. Although its an improvement, the high-pitched sound of the jet drive can still be annoying to some people. 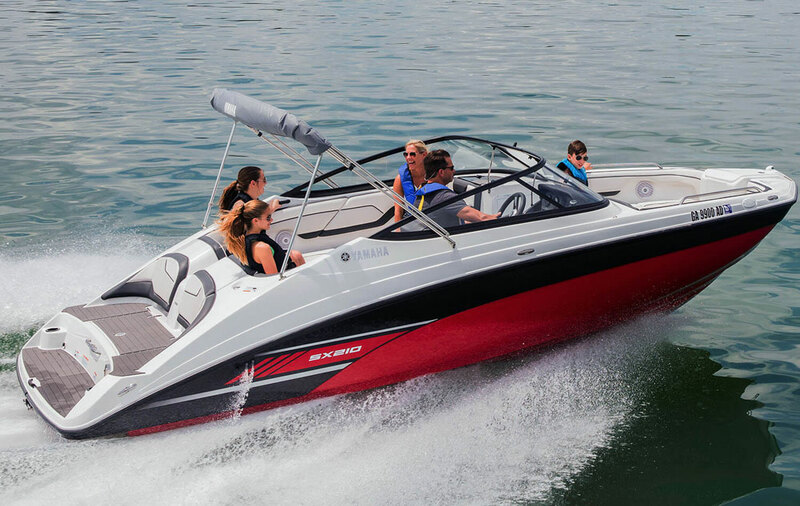 For more information visit Yamaha, or read Yamaha 21 Series Sportboat: More Speed, Less Sound. See Yamaha jet boat listings. The influence of Larson (which owns Escape) is easy to see in the fences and helm station on the Escape RT 220. WE LIKE how some parts of the boat are molded glass, to reduce problems like fence rattles and vibration, while also improving the boats' looks. The boat also felt exceptionally solid while underway, and even the Bimini top was remarkably stable as we tested the boat in a washing-machine chop. Added bonus: You can make the RT 220 just as fancy or just as simple as you'd like, thanks to a huge number of options and customize-able items. WE WISH The wobbly cocktail table was better built and more secure. 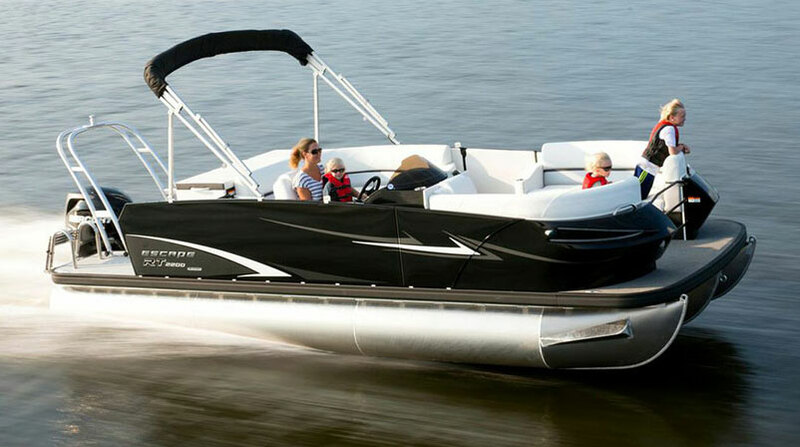 For more information visit Escape, or read Escape RT 220 Pontoon Boat: Escape the Ordinary. See Escape pontoon boat listings. 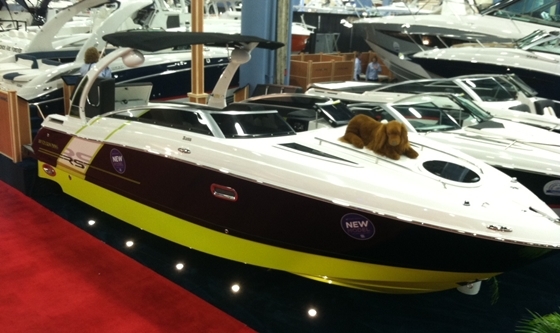 WE LIKE the shockingly huge cabin, which you won't be able to match on a cruiser under 26'. It has a stand-up head, a full galley, a large dinette that converts into a V-berth, and a mid-cabin twin berth. On deck the cockpit is also surprisingly roomy, with seating for a half a dozen people. The aft seat, by the way, converts into a full-length sun lounge. WE WISH the boat didn't cost so much. For a 25' long cruiser, the price tag seems a bit overboard. We also felt its profile was rather tall, and docking on windy days could be a challange. For more information visit Glastron, or read Glastron GS 259: A Pocket Cruiser with Pep. Want ideas for some pre-owned starter boats? 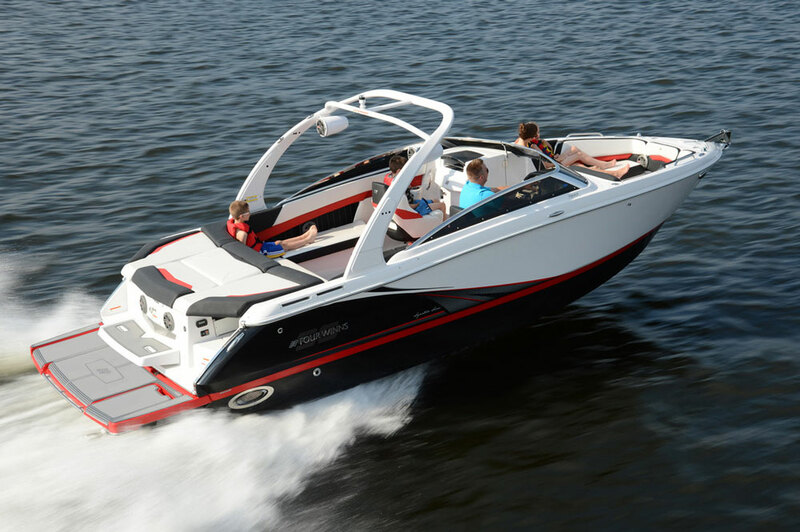 Read 10 Top Starter Boats of 2013 for the Beginner Boater.